You can stay up to date with all the latest Recycle for your Community Schools Programme news, events and competitions by signing up to our termly newsletter. 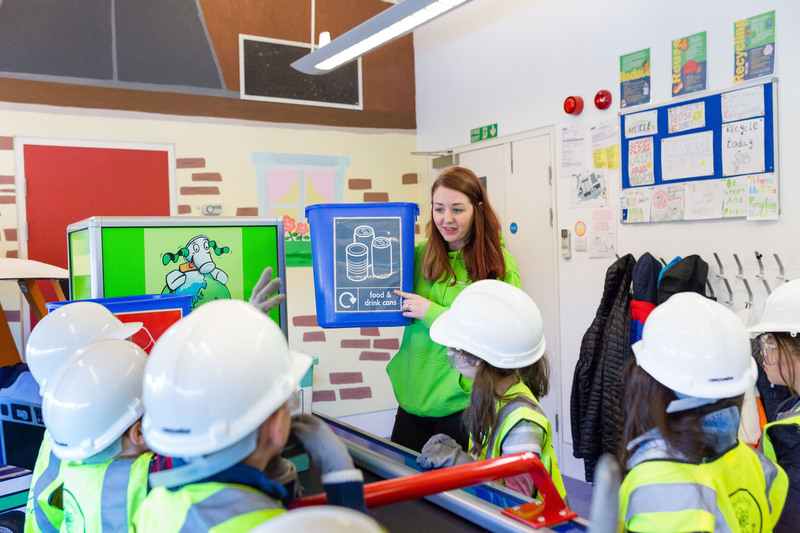 Our E-zine will let you know what we and the different East London boroughs are doing to support schools and their communities on their journey to better and more recycling. It will include updates on the free range of workshops we can bring to your school, any programmes we are running and what’s happening at MuRFy’s world. To find out more about our Schools Programme visit our dedicated page. The E-zine will also keep you informed with updates from Eco-Schools England and you’ll receive invites to attend our informative Eco-Schools Teacher Network Meetings. These meetings are held every term in schools around the four boroughs. We can advise schools that would like to start their Eco-Schools journey and help existing Eco-Schools on how to achieve the Bronze, Silver and finally Green Flag award. To find out more about Eco-Schools in East London visit our dedicated page. You can unsubscribe from the e-zine at any time.